Before I start talking about what I want to change and why I’m doing this, I want to be clear that I’m not upset about this. My feelings of depression are not there with this decision. I want to be positive about the future. It is time to make the decision that I just can’t make it. That making a business happen is not going to happen for me. I’ve tried and tried for so many years, but I just can’t seem to get the same opportunities that other photographers get. If you can think of suggestions, just know I have probably already tried them. I have tried so many different ways to be successful. I’m done watching people with less experience than me get amazing opportunities and I’m left wondering what the hell else I have to do to get the same. I have no idea why this is the case. It could be because I’m a woman. It could be because I’m in my fifties. I just can’t help wondering if I were a man in my fifties with over 25 years experience and a Fine Arts Degree from Melbourne University, would I be struggling like I am? I just can’t keep putting myself out there and getting nowhere. My heart can’t take it anymore and I’m sick of getting depressed and upset as it happens for others. There are things that I’ve been involved in that will continue. However, I’m going to stop teaching. I can’t get enough students so that is an easy one to stop. I’ve tried many different types, but after these years, it isn’t working out. There will also be no more workshops. They are hard work, trying to find people who want to do them seems to elude me all the time. I’ve run many and never had a full one. This doesn’t mean that if good opportunities arise I won’t consider them, but I am not going to go looking for them anymore. I still want to take photos, though I have found that in the last few months I have lost my love of it. I haven’t enjoyed it much and not wanted to go out and take photos. I want to get that love back. I’m going to continue sharing my photos, but that’s all. I’m not going to give hints and tips anymore. It is going to be hard, but I will work it out. What I share will be more about my feelings for the images. When I first started blogging I wanted the posts to be more about my art practice. I would talk about what I wanted to do without thinking about how I could educate people and I want to go back to that. I liked having that record of what I was trying to do. So the blog is going to go back to being more a journal of my work. Though, having said that, I will probably still do some reviews of gear and such. I can’t quite close all doors, but trying to find people who want me to teach them will stop. Really what I have decided to do is do something that has nothing to do with photography. It is time to seek my fortune elsewhere. See if I can do something that isn’t about using a camera. I have started working on it, but this isn’t the place to talk about it. I just thought you should know that things will be changing. I’m excited about the future and am hoping this new direction will give me the success that I am really looking for. I have the following image for you. It is my best nine images from Instagram in the last year. Interesting to see that, besides one, all of them are about water. Also, most of the photos were actually taken the year before. I spent a lot of time reposting photos. I just haven’t been in the mood to go out and take my own. I am hoping that will change this year. Leanne, I am so sorry that with all of your hard work things haven’t worked out. Your work is stunning and you are an inspiration. I am only an amateur hobbyist but I tremendous pleasure from participating in five or six online photo challenges each week. Some are daily and some weekly; each has a theme. I’ve met wonderful people who I consider true friends. Would this be something that you might enjoy? At the request of a few friends, I also recently set up a site where my work is for sale. I don’t really care if it sells, but it’s there for anyone who might be interested. Thank you Susan, it is sad, but perhaps it is what I need to do. I have never really been one to do challenges, I like doing my own thing, so I am looking forward to just playing around and seeing what happens. I think my photography being a hobby again will be great. I’m looking forward to some new challenges, that are different. Hi, Leanne. I respect your decision to shift gears and find other work. I made a similar decision several years ago for financial reasons, and although it was hard to put some of my creative projects aside for a while, I also knew that I had lost some of my creative “mojo” and it was time to try something different. Eight years later, I have returned to my full-time creative “life” and feel that I’ve been enriched by the intervening years in ways that I never would have expected. I can tell that you made the decision carefully and with lots of thought. Your creative mojo will return, Leanne. I am sure of it. Sounds like you have been on a journey as well Patti, sometimes it has to happen that way I suppose. I did make it carefully, and something I am very at peace with, if that makes sense. Thank you Patti, I hope you enjoyed my city. Yes, an intriguing journey! I loved Melbourne, Leanne. It was full of wonderful surprises like the Escher exhibit and the Australian Open. I can see why you love it here. I am so glad to hear you love my city Patti, I must get to the Escher exhibition as well. Fantastic, I will have to work out when I can go. Happy 2019 Leanne, I enjoyed seeing your work, our webinar meeting, and this post! Congratulations on having the courage to take action and make things different for you! Proud of you because its Not easy to make a change. Whatever and wherever your new direction takes you i have a feeling that you will always do some type of creative work, Its in your blood and its who you are! (Same w me…sometimes i call it passion, sometimes i call it obsession, sometimes its a thorn in my side and sometimes i too want to do the same and forget about it… but i can’t….i love doing something creative… its too much a part of me like it is probably for you! Hope you are wildly successful and happy in the direction you choose and life takes you! Thank you Jack, I feel really good about my decision. I don’t think I could ever stop being creative, it really is part of me. Oh yes, passion and obsession. I realised a long time ago if I’m not being creative then I am not happy. Thank you so much, my new direction will still be creative, which is great. Thank you Julie, and the same to you, I hope 2019 is a fantastic year for both of us. Yes, I still want to do photography. You are so kind, thank you so much and still look me up with to come to Melbourne. Your photography has been uplifting and inspiring. I don’t know how I first found your work, I follow just a few photographers, but I always look forward to your posts. Life has not always been kind, I understand your struggles. We can only try and try again. Whatever you do, please keep up your photography and keep sharing. I wish you well. Thank you Ludwig, so happy to hear that. It hasn’t been kind, but I am a strong and resilient person so I know I can move on. I really want to keep going with my photography, if nothing else, I want that. I have enjoyed seeing your work, and I’m happy that your new resolution means that I will perhaps see more of it. It takes courage to write a post of this kind, so all the best over the coming year. That is always good to hear and glad you will continue to enjoy seeing it. I don’t know about courage, but it is nice to put it out there. Thank you so much and Happy New Year. 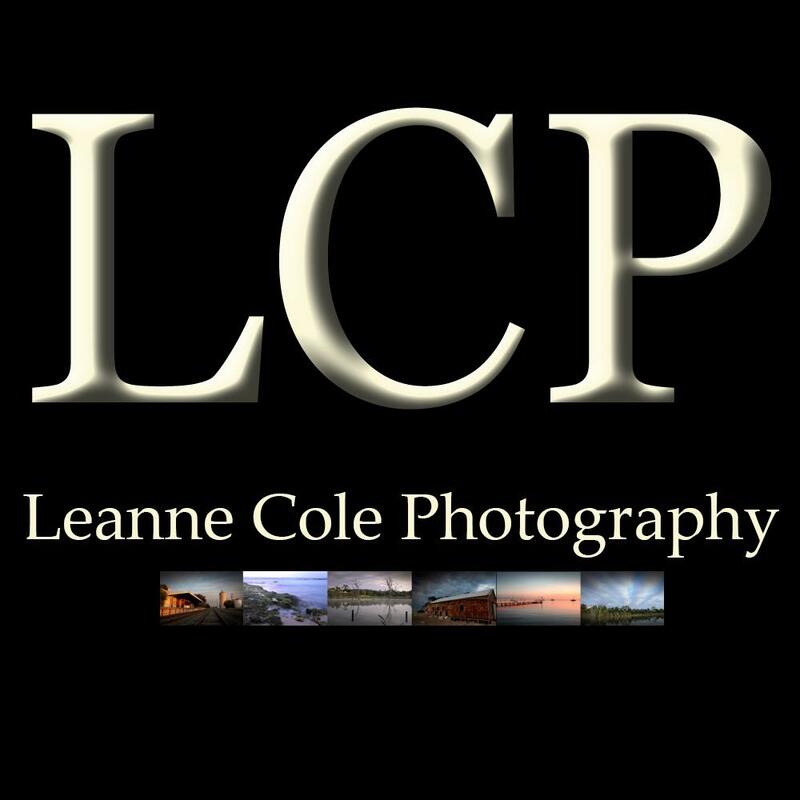 Leanne, I love your work! I agree with the others who said it takes a lot of courage to write this latest post. Putting yourself out there as an artist is a bit scary. Like you, I’ve been trying and not yet been successful. But unlike you, I haven’t tried everything yet! I will turn 50 this year and have decided to do what makes me happy with my photography and see what happens. If nothing else, I will hopefully have a lot of lovely pictures to hang on the walls! Good luck to you, and I’ll continue to follow you and your beautiful photos. You know you’re an inspiration, right? That is true, it is hard to put yourself out there, though that hasn’t been an issue for me, I love sharing my images. The problem is trying to get it to pay for itself. Still, it feels really good to change things up. I’m really excited about the future, and doing something completely different. I’m happy to hear that you will do what makes you happy, that is possibly the best thing. It has taken me a long time to realise that. Thank you Tania and good luck to you too. That’s nice of you to say, I hear people saying that, but it is hard to believe at times. Your images are amazing! Wishing you great success in 2019, Leanne! Thank you so much Sheila, and the same to you, all the best in 2019. Life happens – and usually not in ways we had hoped and often bringing big setbacks and disappointments. I’ve felt your pain over the past year as you have struggled to make sense of all this. But I think you have made an important breakthrough. You have decided to get the “money-earning monkey” off your back. I think if you were to review successful artists through the ages, you would not measure their success by the amount of money they made from their art. The term “starving artist” is not just a cliché. Leanne, I have been following your art for a number of years. I love your work. It brings me joy and knowing you personally adds to that joy. You are a success! Praying God will grant you the solace you deserve in 2019. That is very true Don. Just because you want it, doesn’t mean it will happen. It is funny how a decision to give up can feel so good. Thank you so much Don, we haven’t been out to take photos for so long, we should do it again sometime. The digital era has changed the photography, and not necessarily for the good. In the old film days, if we wanted an Ansel Adams print or litho, you actually had to go out and buy one. Or, buy that specialty catalog so you could buy that print or litho. Those who have succeeded with less experience, I do wonder how well their business venture is really doing. Are they selling prints? Are they securing commissions? Six years later, I still enjoy your photography and your processing very much. You certainly have this “vision” thing all photographers need down good. Glad you will still be doing photos here and there. Keep your motto, “Daring to be different” in your back pocket. No matter what you are doing, it says who you are. I guess I always hoped the same thing would happen. I have made so many contacts, but it has always been made clear that they have no interest in me. It is time to accept that. I’m not bitter, but really happy to try something else. I agree about the digital age. Digital has changed all aspects. I’ve tried the workshops, but couldn’t get the numbers. I’ve tried just about everything, but it is okay, it just isn’t for me. I really need to accept and move on. I’m glad you still enjoy my work. I hope you will continue to do so. Thank you so much David, I am looking forward to being just an artist again. Hi Leanne! It sounds like you do have something new in mind and I look foward to seeing that unfold. As for the feelings of discouragement, I hope some time and a maybe a bit of a rest from doing the things that weren’t giving you the desired results will bring you back to your photography with more of a creative spirit than ever. Even if you end up giving less time to photography, I’m feel certain you will always make the most beautiful images. All the best in 2019! I am really excited about the new project and can’t wait to start. I am hoping the same, I used to love going out and taking photos, but now I can’t be bothered, I really want to get that back. Thank you so much Pam and Happy New Year. It is a relief to read you have now come to a decision and have stopped struggling to make a living out of your art, Leanne. I don’t know how you put up with the frustration and disappointments for so long, while slowly losing your mojo. So I really hope you will find the spark again as the pressure comes off and can enjoy your photography as your passion rather than an income generating exercise that does not deliver for you. Your work is so beautiful, and you are so talented, my friend. All my best wishes for a sense of renewal and rediscovery in 2019.You have been my mentor and always wil be. Thank you Chris, you are one of the people that would know most what I’ve been through and what I’ve tried. I really hope I do as well. I’m sure I will, it has been too important to me in the past not to get it back. You are too kind Chris, thank you. I’m looking forward to just being an artist again. I started following your photography because I enjoyed your work. When I saw those first interior photographs I couldn’t stop telling other photographers about you. I can’t comment on your struggle to make money, and all your changes. That wasn’t what interested me about you, I just liked (and still like) the photographs you make. I am saddened a your words “I have found that in the last few months I have lost my love of it. I haven’t enjoyed it much and not wanted to go out and take photos.” When I see the exciting images you can produce I wonder how that could be. I will continue sharing work, I don’t think I can stop doing that and it is something that I really enjoy doing as well. I’m looking forward to just creating images for the sake of just doing them. I really want to love photography again. Yeah, I have lost my mojo, but I really hope this decision will help me get it back. Do something else for money and just love my photography again. Thank you so much, and I hope you can continue to enjoy what I share. Wow! My heart sank reading your post as I can feel the distress in you. You must follow your heart and soul, and I am sure you will be happy. I am definitely going to miss your pointers as I have really grown to look up to as a type of mentor since I started following your blog. You made some interesting comments, but I think at least here in the US, making a good living in the arts is really, really difficult. I have known several very gifted photographers who ended up in bankruptcy. I have more hours in photography than I do in my business major, but I never really felt like I could make a living with my passion. So, I must admire you even more for trying so hard. I just hope that you will continue to share your beautiful work, and that even more so, that you can find a way to pick up that camera again and go make your art. There is another fellow whose blog I follow that is a water colour artist. His work is absolutely stunning, but he has never pulled off the professional (I mean literally for compensation) thing. We chat quite a bit, and I know that we both share one common philosophy about our art. It is always first and foremost for ourselves. Our art should bring us joy as it allows us to relive those feelings we had when we first “saw” our image. I sincerely hope that you can take a step back, and regain your joy in creating beautiful images. Leanne, your work is gorgeous, and you have such an incredible talent. Yes, go regroup at your own pace and find your passion again. Wishing you all the best, Tim Harlow! I don’t think there is distress, perhaps a quiet resignation that it is time. I do agree, you have made some very good points and it is very hard. I think the internet and digital have made it really hard. It really is time for me to get back to doing what I love, which is creating images. I really want to do that, just do it for no one else but me. I’m looking forward to sharing my images, and that won’t stop. I’m sure people will still pick up things as I talk about what I am trying to do or what I want to do. Thank you so much Tim and all the best to you as well. Happy New Year. I hope that you find a way to make 2019 better than 2018. Thank you, I hope so too, and all the best for 2019 to you as well. I couldn’t agree more Mabel, it is a real problem. It has made me rethink a lot of stuff that I do on the internet and my expectations, that’s for sure. Thank you so much Mabel, I’m looking forward to just sharing my stuff. Yes, I know exactly what you are talking about Melanie, I feel the same. I think everything is not right for this, and it is time to move on. I will still take photos and share them, but other aspects will stop. Perhaps the business side of it all will stop taking control and I can find that creative side again. Thank you so much Melanie and all the best for 2019. I know of many creative people, including myself, that creativity gets buried in the financial and business stuff. Creative people are different, creativity needs time and some kind of peace. At least for me it’s like that. Some are extremely creative under straing, but that’s not me. And possibly not you, either. The change itself can be hard and painful, but once it’s done, it’s right. At least more than it was before. I wish you all the best! It is very hard to be a creative person. I think too the creativity gets swayed towards the business more and not necessarily in the right direction. I think depression has taken over a lot and the frustration that perhaps I’m not quite good enough. Thank you Melanie. You are far from alone in the world Leanne. Many appear to be successful (yourself for instance) but have difficulty making a living from what they love doing (myself for instance). So what does success look like or feel like? Ideally, being able to get by through doing what you love, but that is often the toughest thing to do. Looking at things from a new perspective can be very helpful and it sounds like you are making some important decisions. Walking is the essential creative therapy for me. Good luck for 2019 and all that you do – enjoy as much as you can of it. Happy New Year. You are right, it is about earning enough money to live from and all I can say is, thank goodness I’m married. I wouldn’t have lasted for as long as I have if I wasn’t. I am really looking forward to my new venture and hope that it gives me everything I need. All the best to you for the new year Alastair, thank you. I could have written the same article! Same experience here. No matter how hard I try, I don’t get any success. The reasons you mentioned might be right – I thought the same (I just turned 50). I had a break from photography for a very personal reason but I’m back into it now and it gives me at least a bit joy in my life when I’m out for sunrise or sunset on my travels. Looking forward to seeing your images in this blog! I am happy to hear that you are enjoying your photography Sandra, it is what I am hoping to do again. I am looking forward to seeing what the future brings as well. Thank you so much. I empathize with you. If it’s any consolation, what you’re doing takes courage. And I admire that. I wish you all the best on your future endeavors. Courage is an interesting word, I guess I thought everyone would think I was running away. Still I am very happy with my decision and looking forward to seeing what happens. Thank you Joel. Thank you Adrian, I don’t know about courage, but it did feel like the right time to do it. I love how you have described your blog and it is something I really want to get back to. I just want to enjoy my photography once again. It is a direction I really want to get back to. Yep, I like it Adrian. I think I will do that. Would love to chat, thank you. Adrian, very well said! My approach to photography is identical to yours and I have never before felt more creative and happy. Thank you Deb. I am really excited about the following year. I really want to get back into taking photos for me. Good to hear from another in her 50’s Deb. You will be missed and, for our sake, I hope you come back to us. But of course, do what makes you happy. Thank you Leroy, I will still be around, but the posts I do will be different, more personal perhaps. Thank you so much Dawn, I’m excited about my new venture, though I will still do photography, and I’m looking forward to not worrying about trying to impress others, just doing it for myself and no one else. I’m sorry that things didn’t pan out as you had hoped. I’m glad that you have the clarity you do about how to move things forward in a way that is a more fulfilling investment of your creative and emotional energies. I look forward to seeing what 2019 holds for you. Yes, the writing has been on the wall for a while. I could have continued to just keep scraping by, but I started realising that I was losing my love of photography as well. I am really excited about my new venture, and where it might take me. It will be nice to do my photography as a hobby again. I’m excited to see where it takes me. Thank you so much Laura. Wishing you a wonderful 2019, whatever path you go down. Thank you, and all the best to you for 2019. From what I have read over the years, trying to make money as a photographer is tough. I think it’s that way with the arts and music. I once had a piano teacher who worked 5 different jobs in music to make ends meet. I wish you all the best as you find your new path in 2019!! Yes, it is very hard and harder if you are female, I’ve found, especially if you don’t want to do portraits. I’m happy to try changing things. Thank you Nora. Good luck to you. I have always enjoyed your work. Do what makes you happy. Thank you Sharlea, good to hear, I know you will continue to see my photography, perhaps from a different perspective. Sorry, about your disappointment! Trusting your new endeavor will gel! May you have a wonderful year! You have done a wonderful job of turning photos into art, or should I say your processing sure takes the photos to a higher level! Thank you Marland, I think for my mental health I really need to do this. I really want to love photography again and stop being so disappointed when I see it happening for others. I will continue processing and doing that, but just for me now. I am sure it is hard! You gave it a try, for sure! Now it is time to move on, and not look back. I completely agree Marland. It is time, that’s for sure. Thank you. Thank you Chandra, I’m excited about the new direction and am looking forward to falling in love with photography again. Thank you Emma, I’m sure I will still give advice, probably won’t be able to help myself, but it won’t be my focus. Yeah, I like the journal part as well. I’ve missed doing it. Yeah, I’ve really lost my mojo, which is really sad. I have a trip coming up in May and and I need to get it back by then. Happy New Year to you as well. I’m looking forward to the following year.